As a health & fitness professional, I strive to be a strong advocate for healthy food choices (DUH!). I find myself continually researching the world of health and nutrition and sometimes it's information overload, and at times there's a nugget I find that gives me that "ah, ha" moment. 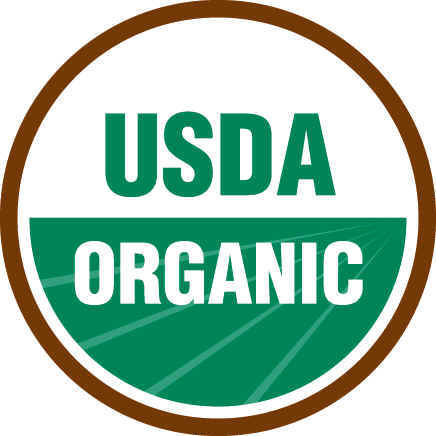 For years I have been one to roll my eyes at the "organic" thing that has been ever increasing in popularity, and at times, seems to be the trendy thing. I felt people had a false sense of 'better' if they tended to eat food that was organic. I mean, there seems to be WAY too long of a list of things that could cause cancer, right? We can't be safe from it all and also can't be living in fear at all times. Plus, that organic stuff is expensive! I also think that since my parents came from the hippie days and talked about 'organic living' in many forms, I wanted to steer as far away as possible. If you're from the Pacific Northwest, you may be familiar with the store PCC and until recently, the only thing I knew about PCC was that my mom shopped there back in her hippie days so therefore PCC = hippie (organic) = mom = steer clear!!! That's funny to think about now as it has quite the amazing selection of quality food. After thoroughly taking time to educate myself, which we all should do, there are a few keys that help me understand why we need to make healthier food choices and why organic food can be a better choice and shouldn't have my negative stigma to it. First, farming today is not the same as it used to be. No one can argue this. Nothing against the hard working farmers out there trying to make a living, but the nutritional value isn't the same. With the amount of pesticides, hormones, genetic alterations, etc., food just isn't what it used to be. We lack in the nutritional value that we need on a regular basis. Secondly, researchers are finding connections and potential health concerns specifically with the pesticides used on fruits and vegetables and the hormones that are used and pumped into the animals of the meat we eat. This was my latest "ah, ha" moment and kind of freaked me out. A current article stated that girls were starting puberty at a younger and younger age and stated a possible link with "hormone-like environmental chemicals." As the mother of a young girl, I am very concerned with this. With regards to my own food choices, I have always been a person to eat most everything but have gotten pickier as I have gotten older because of how much information I have learned. I now get and respect the reasons why people decide to eat vegan, vegetarian, kosher, organic or otherwise. Now, I know many of you are thinking you just don't want to know this stuff because you want to enjoy those delectable, mouth watering foods, but you should really know what you are consuming so you can make better informed choices. My first moment was in college. I had a philosophy class where we looked at the philosophical and graphic nature of slaughter houses, and I believe I was vegetarian for about a month after that information set in. I then read too much on pork and decided I may want to look into becoming Jewish as I think I can only eat kosher meat from that point on... Well I didn't become Jewish, but still won't touch pork. And gelatin-- don't shoot the messenger, but do you know exactly what this substance is and how it is made (check your food labels as it's in many products)? Here's a wiki definition for you, "Gelatin is a translucent, colorless, tasteless solid substance, derived from the collagen inside animals' skin and bones." It's made primarily from the stuff meat industries have left over. We're talking about pork skins and cattle bones. Anyone want some Jell-O or gummy worms? I'm also a HUGE fan of eggs. I trip out a little now if I think too much about them, and that I've had several encounters where I was on the freeway and see the huge semi-truck next to me loaded with chickens in about eight inch high palette-like cages traveling down the road... Is that humane? I don't want to even get started on the mass production of egg laying. And lastly, I have not seen the movie Food Inc., YET, but after all these encounters and information, I am concerned I will only consume a handful of foods without getting nauseous. So many of you are probably thinking that this crazy lady thinks too much about this stuff and you may not care to know all the details of the food you eat, but some of you may want to investigate further. Organic is not a taboo term for me anymore and I definitely believe in being proactive in knowing the nutritional value and quality of the food we eat. 1. Search out your local CSA (Community Sustained/Supported Agriculture) program. This is where you can get locally grown produce and organic or grass-fed meats from your community. Less time travelling on a truck or being stored = more quality produce/meat and less need for pesticides, preservatives, hormones, and other added junk... Plus, you support YOUR community, YOUR farmers! Thanks to one of our fans for referring a local CSA, Full Circle to us in the Pacific Northwest. 2. Know the dirty dozen, which are 12 priority foods to buy organic. These foods have thinner skin or the skin is consumed and therefore has a higher chance of being contaminated with pesticides. 3. Consider making a trip to buy organic, cage free eggs. Many stores now carry them, but do your investigating as not all are the same. You may want to consider going local to the farm or farmers market to pick some up. 4. Buying organic can be expensive so do your research. Your local grocery 'natural food' section may be the spendiest and not be the best place to purchase organic food. Their prices can vary greatly so do your price comparing and shop around. Buy in-season, buy in bulk, and don't be afraid to freeze those quality foods. 5. Grow your own! Starting a garden with your own fruits and veggies is fun for the whole family and you know exactly what you are consuming and how it's grown from start to finish. My hope is that more of us will consider spending some more time paying attention to what we are consuming on a daily basis and investigating further the quality of food. Your health is worth the extra time and buck! We all deserve to fuel the body in the most quality, efficient way.